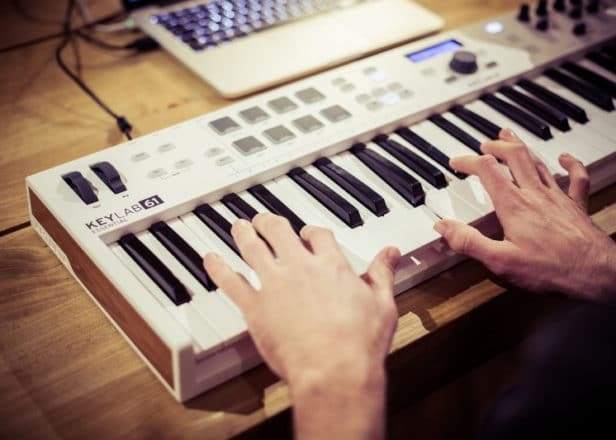 The marriage between hardware and software is not easy as it looks to the naked eye – especially when it comes to musical instruments. That is why many end up in divorce, the ones we see being the ones that survived the tumultuous pairing process. One such successful marriage between a vintage analog synthesizer and its hardware counterpart is the Arturia Factory. Let’s not get ahead of ourselves here, let’ step back and take a look at Arturia and the feats it’s accomplishing in music production. One thing musicians can never get rid of despite music going digital is the itch in their fingers to actually “play” the sounds they are working on. It’s the inherent creative nature in them. Many companies realized this and went on a quest to create soft synths that could also be controlled by a physical controller. Some failed while others succeeded. One of those success stories is the Arturia Factory. Arturia Factory is a collection of Arturia’s very own library of softsynth titles from its “V” series namely the ARP 2600V, Minimoog V, Moog Modular V, Prophet V and VS, CS80V and Jupiter 8V. 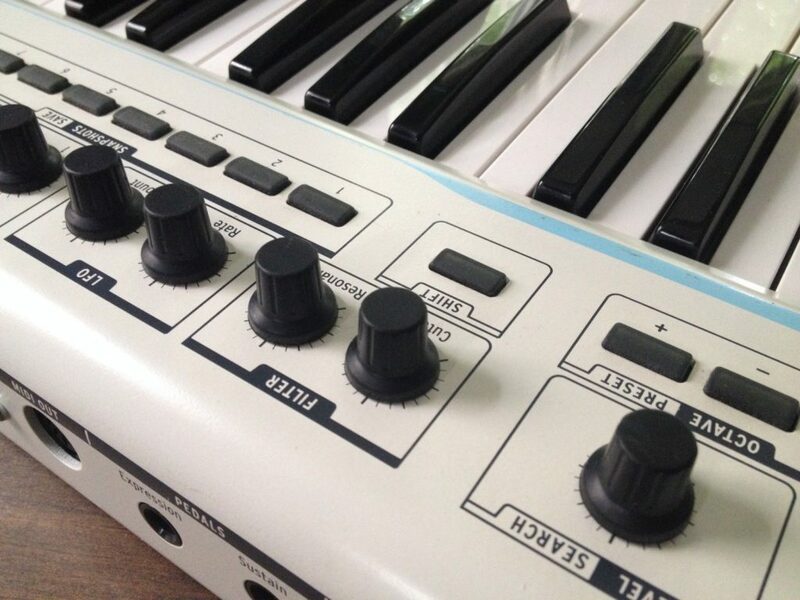 For a more “personal touch”, Arturia turned the Arturia Factory into a hybrid system (the Arturia Analog Factory Experience) that combined the softsynth with a MIDI Arturia keyboard to play and control the synthesizer. It’s amazing how well the keyboard replicates the on-screen controls of the Arturia Factory – to the very last details. The seamless integration of virtual and reality is almost impossible to believe. To use the Analog Factory, all you need do is pick one of the 3500 presets and tweak the sound using the controls. There are dedicated knobs provided for filter cutoff and resonance, LFO rate and amount, master level, and chorus and delay mix. You also have 4 extra knobs that are pre-assigned to key parameters in each patch and 4 sliders that are dedicated to controlling the amplitude envelope. With these, you’re good to go. Arturia’s Beatstep controller and sequencer offers a high degree of functionality and performance that you won’t find in any other portable pad controller. 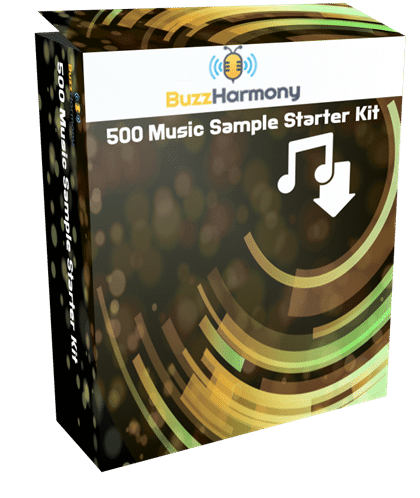 Being very versatile, BeatStep is able to trigger clips in applications like Ableton Live, can play drums with BFD or EZDrummer, or tweak synth parameters. Whatever you want to do, with Beatstep, you can – one at a time or all at once. As a sequencer, Beatstep is a 16-step analog sequencer more than capable of creating musical phrases for analog synthesizers, MIDI drum machines, keyboards, and DAWs. Whether you make music on a PC or smart device, Beatstep has no trouble pairing with your device of choice, giving you the flexibility to work anywhere – even on the move. The Arturia MiniBrute is a vintage-style 25-key monophonic analog synthesizer with one voltage controlled oscillator, two low-frequency oscillators, and a multi-mode Steiner-Parker filter. This hardware synthesizer is easy to use and gives you full control of how your output signal comes out. With no factory presets and vast libraries to wade through, this is pure old-school synthesis with modern performance and quality – and a whole lot of fun. And if you want to create musical mayhem, the Brute Factor knob can turn “subtle drive effects to full intermodulation” havoc – so says the Arturia website. Arturia created another hybrid music machine in the Spark Vintage Drum Machine that combines a hardware interface and softsynth. If you’re not into the hardware part, you can still have the Arturia Vintage Drum Machine as a software-only plugin or standalone DAW. 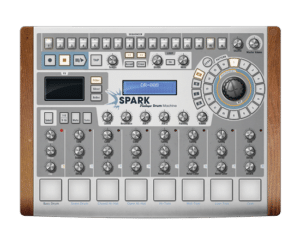 The Spark Vintage has an easy to use interface that allows you to program your classic drum machines using a 16 step sequencer. You can also capture beats with their original timing and velocity, you can map your MIDI Arturia keyboard (or any other MIDI keyboard) to the 8 drum pads. In this fast-paced world of music processing, it’s very easy to lose the classic touch of analog sounds, sounds that never grow old despite their age. This is why companies like Arturia are critical, they help not only preserve classic sounds but also give a great modern experience that is unparalleled.